Wind and solar are set to contribute 50 per cent of world’s electricity generation by 2050, according to the Bloomberg’s New Energy Outlook (NEO) 2018. “This dramatic shift is being driven by cheap solar PV, cheap wind, and falling battery costs. The cost of an average PV plant falls by 71 per cent by 2050,” the report observes. 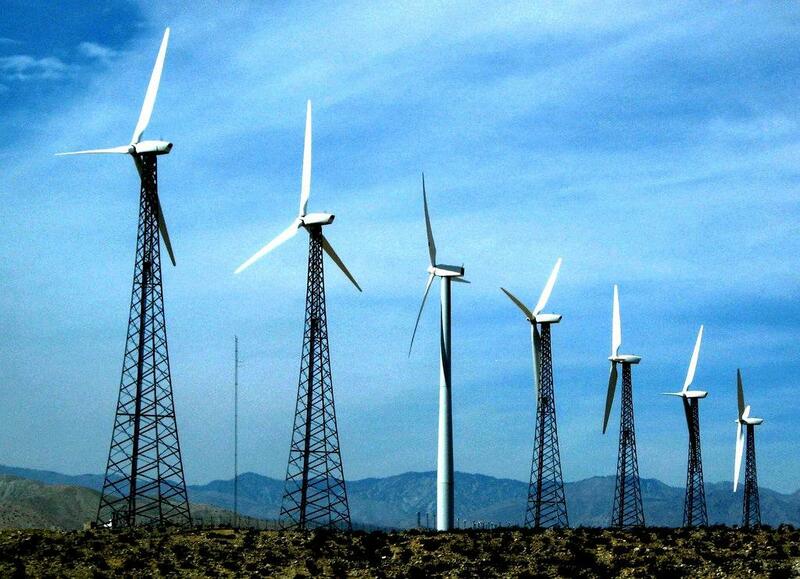 Wind energy is also expected to be cheaper by 58 per cent by 2050. This annual long-term analysis of the future of global electricity system is done with the help of “sophisticated modeling of power systems country-by-country, and of the evolving cost dynamics of different technologies”. NEO 2018 sees $11.5 trillion being invested globally in ‘new power generation capacity’ between 2018 and 2050. Out of that, $8.4 trillion is likely to be invested in wind and solar and a further $1.5 trillion in other zero-carbon technologies such as hydro and nuclear. This investment, according to the report, will produce a 17-fold increase in solar photovoltaic capacity worldwide, and a six-fold increase in wind power capacity. “Coal emerges as the biggest loser in the long run. Beaten on cost by wind and PV for bulk electricity generation, and batteries and gas for flexibility, the future electricity system will reorganize around cheap renewables–coal gets squeezed out,” says Elena Giannakopoulou, head of energy economics at Bloomberg New Energy Finance. Price of lithium-ion battery, which is already down by nearly 80 per cent per megawatt-hour since 2010, will continue to drop as electric vehicle manufacturing builds up through the 2020s. “We see $548 billion being invested in battery capacity by 2050, two-thirds of that at the grid level and one-third installed behind-the-meter by households and businesses,” says Seb Henbest, lead author of NEO 2018. 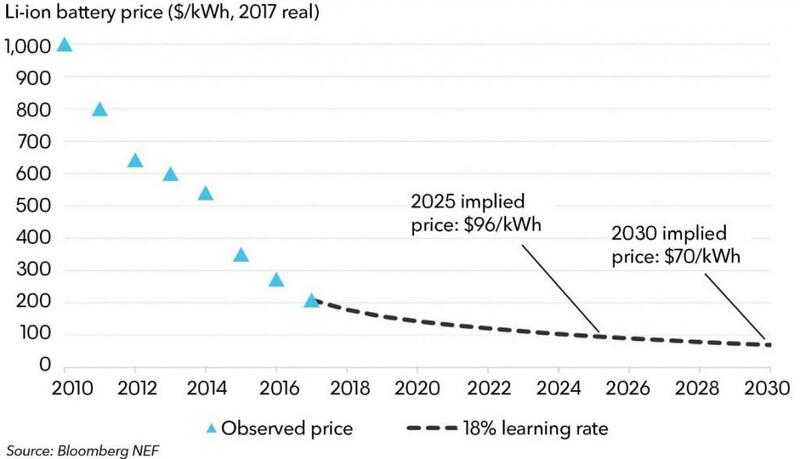 The arrival of cheap battery storage will mean that electricity demand will be met even when the wind isn’t blowing and the sun isn’t shining. How does that carbon emission? Despite the upbeat projection on electricity generation from clean sources, global electricity sector will still fail to fulfil its part of the effort to keep global CO2 levels below 450 parts per million (PPM)–the level considered by the Intergovernmental Panel on Climate Change to be consistent with limiting the temperature rise to less than 2°C. “Even if we decommissioned all the world’s coal plants by 2035, the power sector would still be tracking above a climate-safe trajectory, burning too much unabated gas. Getting to two degrees requires a zero-carbon solution to the seasonal extremes, one that doesn’t involve unabated gas,” says Matthias Kimmel, energy economics analyst at BNEF. How are India and the US placed? While coal-fired electricity is expected to grow in India in the short to medium term, the report observes that by 2050, wind and solar will dominate, supported by batteries and flexible gas. “This pushes India’s emissions 22% below what they are today,” the outlook suggests. 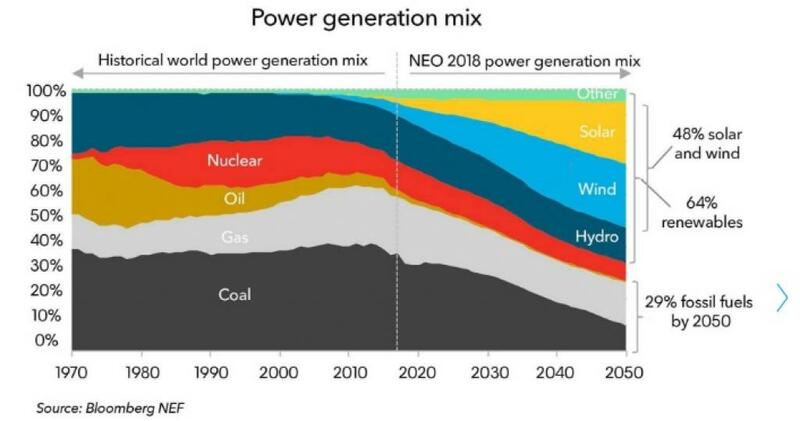 While we expect coal-fired electricity to continue to grow in India in the short to medium term, by 2050 wind and solar dominate, supported by batteries and flexible gas. This pushes India’s emissions 22 per cent below what they are today. When it comes to the US, electricity system will continue to replace aging coal and nuclear with cheaper gas and renewable resources, “assuming there is no lasting federal policy intervention to prevent their retirement’. High penetration rates for renewables in many markets: 87 per cent of total electricity supply in Europe, 55 per cent for the US, 62 per cent for China and 75 per cent for India. There is a possible shift to more decentralisation in some countries such as Australia, consumer PV and batteries will account for 43 per cent of all capacity by 2050. Electric cars and buses will be using 3,461TWh of electricity globally in 2050, equivalent to 9 per cent of total demand. The electric vehicles would account for 28 per cent of global new car sales by 2030, and 55 per cent by 2040. Electric buses are expected to dominate the market, reaching 84 per cent global share by 2030.